This week marks the start of a new month of Project 52, a collaborative study of light that I am pursuing with several talented photographers whom I have come to know and admire over the past two years. In July we will be spending each week looking for a different color of light, starting with blue. 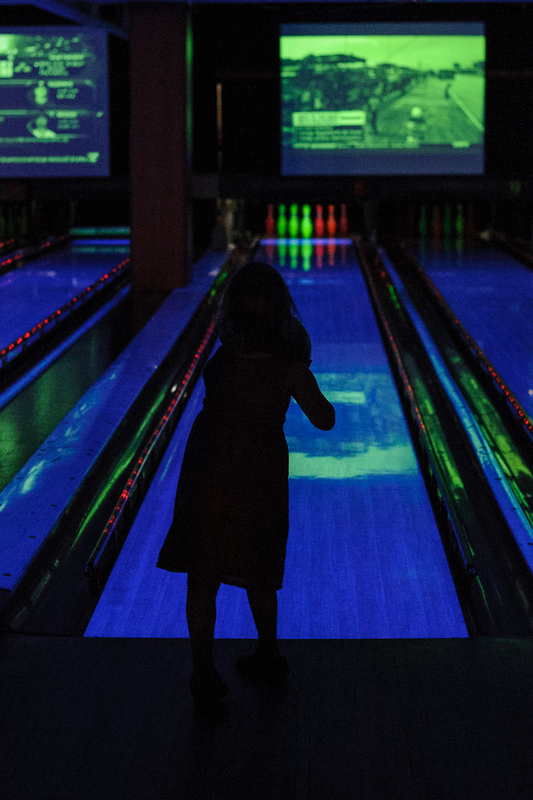 I didn’t do much shooting in recent weeks at the natural “blue hours” before sunrise and after sunset, so my blue light comes from a birthday party at Bowlmor Lanes. Big sister was the invited guest, but little sister parked herself on the neighboring lane and enjoyed her first bowling experience. Next up in the Project 52 circle is my fellow Manhattanite Sarah Davis. Love this super fun artificial blue light!!! So fun! Love the silhouette! very creative!